Given our small sample size, I’d say our margin of error is plus or minus 75%. Others at Fry Lodge might say 25%. I’ll leave it up to Nate Silver. Happy New Year to the Fry Lodge Faithful. Those are the first two sentences of the first email I read when I woke up this morning. For the second day in a row, school is canceled due to weather, which means Henry and Ruby will be home. For. The. Entire. Day. I refuse to accept this reality, and I question the credibility and legitimacy of a school district that cancels school due to weather, when I personally have found no evidence of hazardous conditions. Granted, I haven’t left my house in two days, but still. What makes the Bellingham School District more qualified than me to determine what is and isn’t safe for my children? The fact that they’ve been trained to do this and I haven’t? The fact that they are consistently rated one of the best school districts in Washington State? The fact that they are responsible for the safety of more than ten thousand students? C’mon. 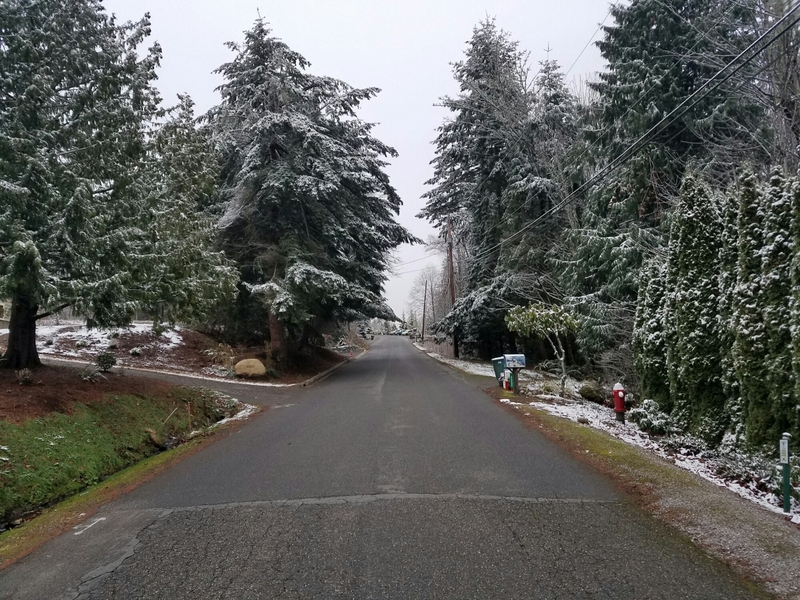 The school district’s claim that road conditions are unsafe for school does not align with my personal agenda today, and I find their conclusion ridiculous and untrue. This is the same school district that, when the weather was still beautiful in August, decided it was time to start the school year. Sad. A person’s golden birthday is when they turn the age of their birthday. For instance, if I were born on April 29th, next year would be my golden birthday. But that’s not the case. 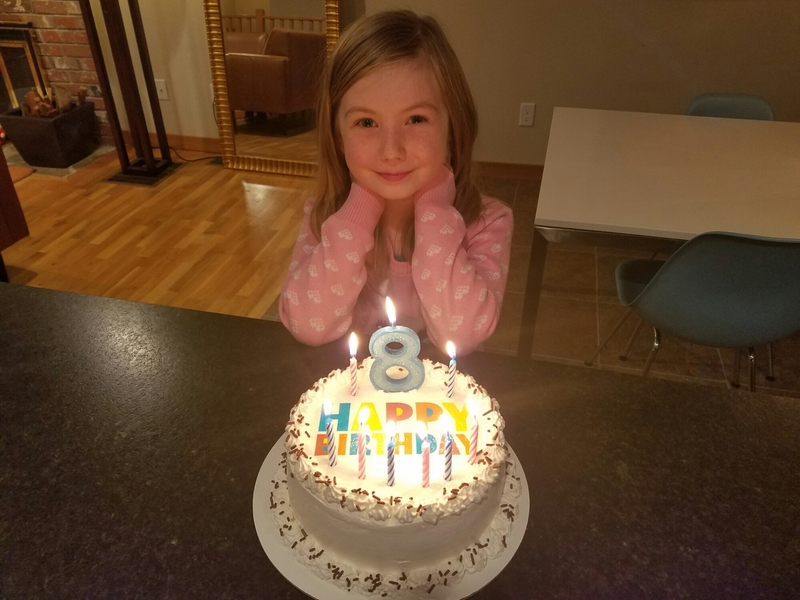 Today, December 8th, Ruby turned 8. Even better, she was born in 2008 at 8pm. Given the confluence of these facts, Ruby declared today her Super Shiny Golden birthday. Happy Birthday, Ruby Louise Fry, our one-of-a-kind, super shiny golden girl. We’d been trudging around the muddy field for more than an hour. 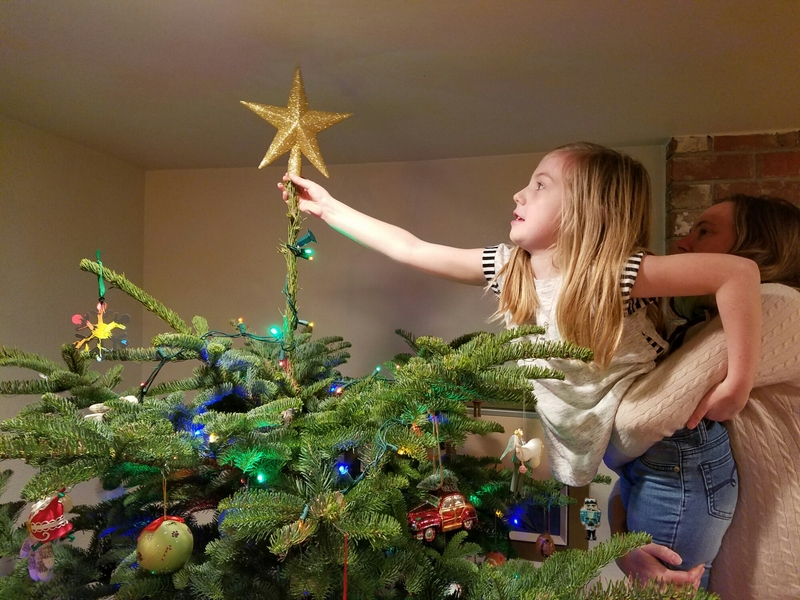 Ruby was now suggesting that we scrap our long-held tradition of cutting down our own tree, opting instead for one of the pretty, pre-cut trees leaning against the shed. Nobody could agree on a tree. The temperature – and blood sugar levels – were dropping. The sun would be down soon. 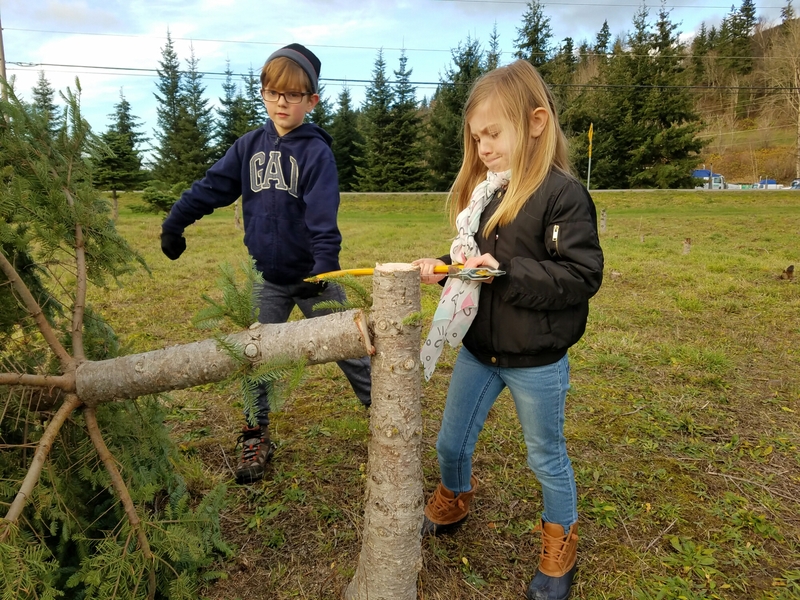 And then, we found it – a full, tall noble fir. I quickly started cutting with the Fryman saw before anybody could change their mind. 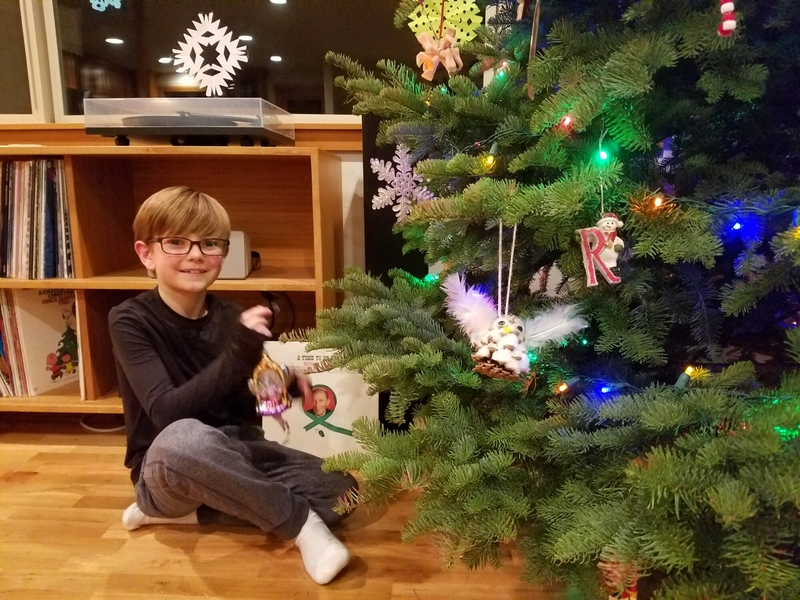 We lugged the tree to the car, enjoyed some cider, bought the 2016 Christmas ornament, and were soon on our way back to Fry Lodge Bellingham to decorate. 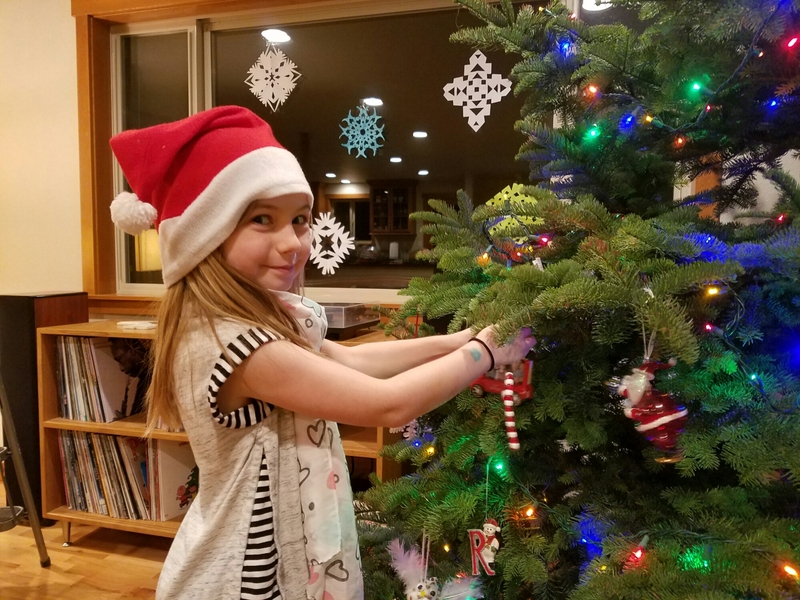 Andy Williams, Bing Crosby, the Andrews Sisters, Willie Nelson, and the Charlie Brown Christmas album were just a few of the records we played as we spent the rest of the evening stringing lights, hanging ornaments and reminiscing about Christmases gone by. We must have 200 ornaments at this point – each with its own memory. 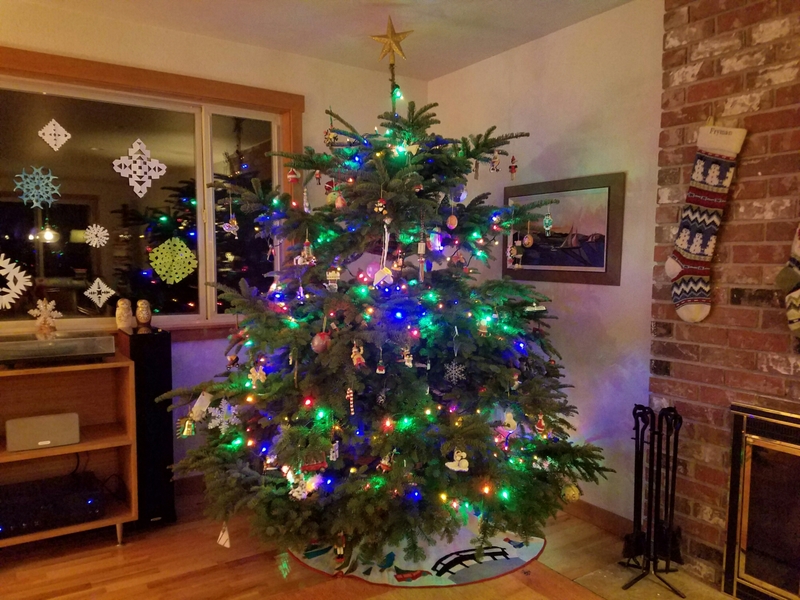 It’s funny to review the different eras of ornaments from parents: the Southwest phase, the Ireland phase, the Mexico phase, the newlywed ornament, the new baby ornament. Can’t wait to see what comes this year. I’m sure we’ll love it, Grandma. We’re excited to continue our old traditions in this new home. Bring on the holidays.